"In view of the part my city played in the history of colonialism in Germany, I cannot accept that economic activities in my city violate international law", the President of the Bremen Parliament wrote the all German Member of the European Parliament. Christian Weber, the President of the Parliament of Bremen (the Bremische Bürgerschaft), one of Germany's states, last week wrote a letter to all 96 German Members of the European Parliament. Western Sahara Resource Watch (WSRW) has obtained a copy of the German original letter, and its official translation below. In his letter, Weber calls on the MEPs to vote against the draft trade arrangement for Western Sahara which the European Parliament is expected to vote on in a matter of weeks. The draft trade arrangement consists of an amendment to Protocols 1 and 4 of the EU-Morocco Association Agreement, so that they would be extended to Western Sahara – a territory the size of the UK, of which a large part has been under Morocco’s military occupation since 1975. In December 2016, the EU Court of Justice struck down the application of EU-Morocco agreements in Western Sahara over Morocco’s lack of sovereignty over the territory. No EU agreement with Morocco can be applied to Western Sahara, the Court concluded, unless with the express consent of the people of the territory. The currently proposed trade deal for Western Sahara was negotiated exclusively with Morocco, not with the people of Western Sahara. WSRW has asked Bernd Lange, Chair of the European Parliament's International Trade Committee - which has the lead on the trade proposal - whether he wanted to comment on the letter of his SPD colleague Weber. 1. The new draft trade agreement between the EU and the Kingdom of Morocco is the reason of this letter to you. As I am informed, you will be requested to vote on the draft in December of this year or January of next year. The debate on the new agreement will start in the trade committee in the days to come. I have learned with great concern that the rapporteur, Ms Patricia Lalonde, will recommend to vote in favour of the draft agreement. I strongly hold against this and submit my request to you not to vote for the agreement, as this agreement is in clear violation of the rights of the Sahrawi people. 2. 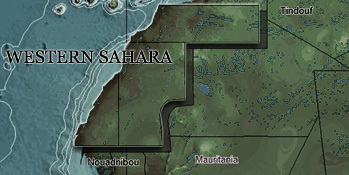 Allow me to express that we, in the Free Hanseatic City of Bremen, are fully aware of the political situation of Western Sahara as the last colony in Africa. It was therefore that the parliament of the state of Bremen voted without opposing votes in support of implementing the right to self-determination of the Sahrawi people by a referendum under the auspices of the United Nations in February 2016. (Cf. minutes of Bremische Bürgerschaft: 25.02.2016, page 7, No 19/246) At the same time, the parliament called on the government of Bremen to further the case of Western Sahara with the federal government of Germany and the EU. 3. The draft trade agreement of the EU with the Kingdom of Morocco at stake is of direct importance to Bremen. It was in July 2018 that a consignment of fishmeal from El Aaiún (the capital of Western Sahara) entered the territory of the EU through the habour of Bremen. What happened in July was certainly not a unique case, as Bremen is a hub for the trade with fishmeal in Europe. Being the speaker of the Parliament of Bremen and in view of the part my city played in the history of colonialism in Germany, I cannot accept that economic activities in my city violate international law. 4. The European Court of Justice ruled in absolute clear terms in December 2016 that trade and association agreements between the EU and the Kingdom of Morocco are not to include Western Sahara. The court underscored that the people of Western Sahara has the right to self-determination. In applying this principle of international law to the case of Western Sahara, the court made clear that agreements with legal effect on Western Sahara require the consent of the people of the Sahrawi people. 5. Who is the Sahrawi people? The federal government of Germany noted the following to this question on 19. September 2017 (Minutes of the Bundestag (House of Representatives): 18/13591): “The English text of the mandate to hold negotiations with the Kingdom of Morocco refers to ‘the people of the Western Sahara’ and with this to the ‘people’. In view of the participation in the negotiations, the mandate to negotiate refers additionally to resolutions of the United Nations, namely resolution 2152 (2014) and resolution 2218 (2015) and thus to the people of Western Sahara. It is the task of the mandate to negotiate to implement the consequences of the European Court of Justice in the case of 104/16 P.
6. It is only the Frente Polisario, which the United Nations recognized as the political representation of the Sahrawi people. Taking note of the understanding that the right to self-determination encompasses the right to dispose over the natural resources of Western Sahara, it is consequently the Frente Polisario to consent to agreements concerning the territory of Western Sahara. It was, therefore, consequent that the European Court of Justice accepted the Frente Polisario as party in the case about the trade agreement with Morocco. 7. The Frente Polisario opposed explicitly the draft amendment of the trade agreement between the EU and the Kingdom of Morocco. After this, the pre-condition of the European Court of Justice for the lawful integration of Western Sahara is not given. The Frente Polisario has already announced that it will again challenge the planned trade agreement in court. 8. The Commission of the EU decided to do dubious consultations in order to circumvent the fact that the Frente Polisario did not consent to the proposed amendment of the trade agreement between the EU and Morocco. The Commission pretends to have conducted conversations with 112 stakeholders: good from Morocco and the occupied territory of Western Sahara. In 94 cases or 83% false information was given. The stakeholders mentioned by the Commission were – so stakeholders reported - either not invited for consultations or explicitly refused to participate. Organizations of the liberated territory and the refugee camps of the Sahrawi were not approached by the Commission. What remains on the list of the Commission are a few Pro-Moroccan deputies selected under the occupational conditions given, members of the government, economic agents and civil society groups registered according to the law of Morocco – all of them as supposed representatives of the Sahrawi people. 9. The vote for the amended trade agreement submitted to you by the Commission will lead to years of uncertainty for all concerned. Enterprises involved in economic relations with Morocco will suffer from legal and financial risks. They will suffer from damage to their reputation as trustworthy economic partners. 10. It is my sincere hope and wish that the EU complies with the clear position of international law. That good relations between the EU and the Kingdom of Morocco remain is undoubted. However, it cannot be tolerated that this happens at the expense of our legal order, international law and the efforts of the international community to find a peaceful solution of the Western Sahara conflict. 11. The European Union ought to play an active and constructive role in solving the conflict. The policy of the African Union, which supports the referendum of the Sahrawi people, should be an example to follow. Europe, the EU, the European Parliament should take note of the fact that the members of SADC (Southern African Development Community) have announced to hold a Western Sahara solidarity conference of their heads of states in Johannesburg in November of this year. 12. The EU occupies a key position to support the efforts of the Personal Envoy for Western Sahara of the United Nations Horst Köhler whose task it is to mediate peace for Western Sahara and, with this, to contribute to peace in the South of Europe. The Security Council of the United Nations calls on the parties to the conflict to return to negotiations until December. In view of this goal, it will be important to deny consent to the draft agreement submitted by the Commission and to maintain that Western Sahara be excluded from the agreement until the referendum is being conducted. Such a decision would support the peace process and can only be achieved through parliament. In this sense, I call on the members of the European Parliament to withhold consent to the submitted draft amendment of the agreement between the EU and the Kingdom of Morocco. WSRW’s work is being read and used more than ever. But our financial situation is tough. Our work takes time, dedication and diligence. But we do it because we believe it matters – and we hope you do to. If everyone who reads our website or likes us on Facebook, would contribute to our work – 3€, 5€, 27€ … what you can spare – the future of WSRW would be much more secure. You can donate to WSRW in less than a minute here. Morocco occupies the major part of its neighbouring country, Western Sahara. Entering into business deals with Moroccan companies or authorities in the occupied territories gives an impression of political legitimacy to the occupation. It also gives job opportunities to Moroccan settlers and income to the Moroccan government. Western Sahara Resource Watch demands foreign companies leave Western Sahara until a solution to the conflict is found. It's not easy keeping up with all the different legal proceedings relating to Western Sahara. For the sake of clarity, here's an overview of the five different cases at the Court of Justice of the European Union. Stand up for the Gdeim Izik 25! Leading activists from Western Sahara are condemned to sentences ranging from 20 years to life imprisonment in connection to a mass protest in 2010 denouncing the Saharawi people’s social and economic marginalization in their occupied land; the Gdeim Izik protest camp. Help us to protect the natural resources of Western Sahara for the Saharawi people. Support our work by making a donation. At COP22, beware of what you read about Morocco’s renewable energy efforts. An increasing part of the projects take place in the occupied territory of Western Sahara and is used for mineral plunder, new WSRW report documents.